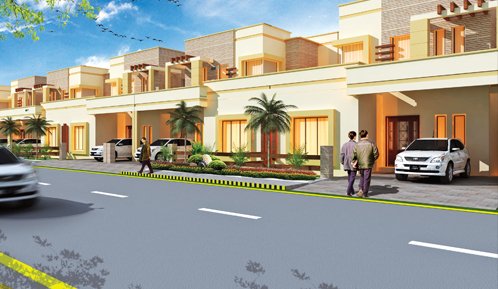 Dream Villas is an address of Ultra Luxury Villas in the heart of Gulberg Residencia. It offers 7 marla and 10 marla luxury houses with 18 months bimonthly installment plan and the possession will be handed over within 2 years. There are total 40 villas available in this project, out of which 29 villas are constructed on 10 marla plots and 11 villas are constructed on 7 marla plots. Since the number of villas is very limited, it needs your quick decision if you want to have your future dwelling in Gulberg Residencia. According to sources, this project is located in sector I of Gulberg Residencia Islamabad which has only 200 Sq.Yards and 272 Sq.Yards plots. Location of Sector I is also very attractive and it is considered one of the most expensive block located close to Sector D (commercial markaz) of Residencia. Since Gulberg Dream Villas are available on installments, you have 18 months to pay for your villa in equal bimonthly installments i.e. you have to pay your installment after each 2 months. Booking starts from 25 lac rupees for 272 Sq. Yards Villa and total price is 1.50 Crore Rupees. Booking starts from 20 lac rupees for 200 Sq.Yards Villa and total price is 1.10 Crore Rupees. 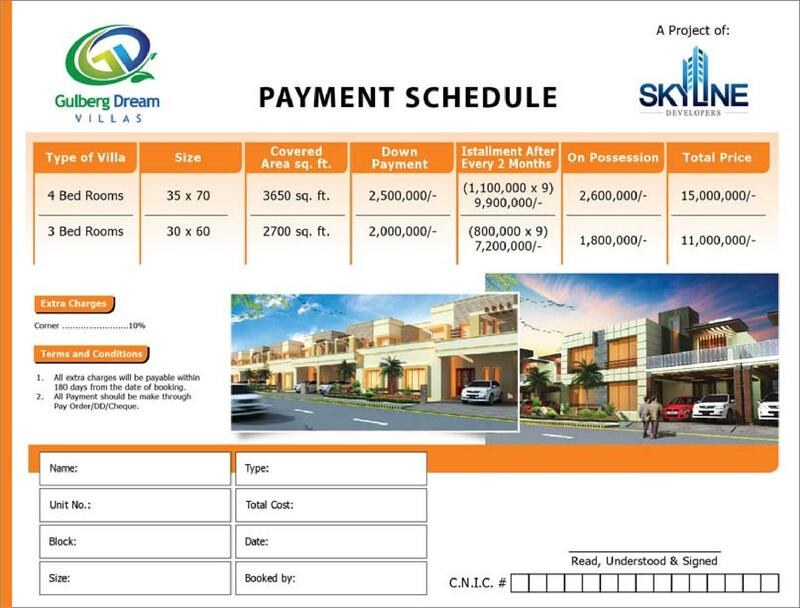 Gulberg Dream Villas offer 2 sizes i.e. 35×70 and 30×60 for its luxury houses. 35×70 or 10 Marla Villas offer 4 bedroom luxury houses while 30×60 or 7 marla Villas offer 3 bedroom luxury houses. 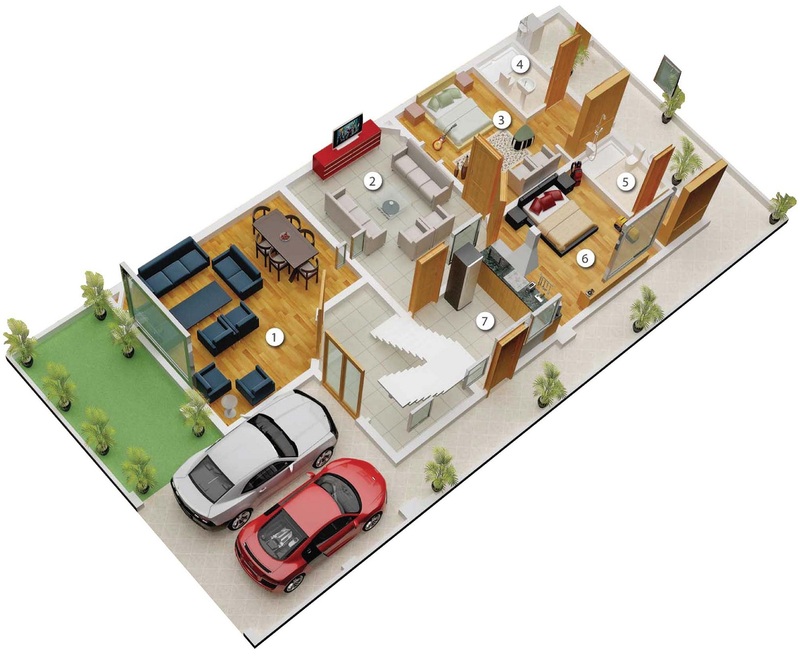 Additionally, car parking space, lawn, lounge, kitchen, drawing room and servant room are well-designed and spacious. 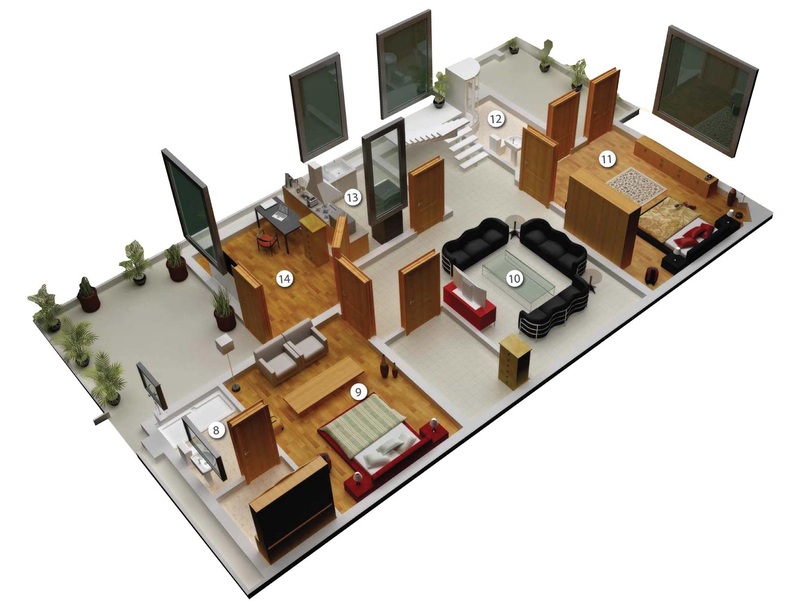 Covered area of 272 Sq.Yards villas is 3650 Sq.Ft while the covered area of 200 Sq.Yards villas is 2700 Sq.Ft. It is important to note that there are only 11 villas available in 7 marla category, so you won't be able to book 7 marla if you delay your decision. Some salient features of Gulberg Dream Villas are important to mention so that you can understand the value of these luxury homes. Since there are specific plot sizes in Gulberg i.e. 7 marla and 10 marla, so plenty of space is available to shape up a luxurious accommodation following the modern standards of construction. And this is not all, you also have to consider the importance of location which is close to Koral Chowk on Main Islamabad Highway. You can contact us for more details, visit and booking of Gulberg Dream Villas using the information given on Contact Us Page.